The Sunny Isles area has always been popular for those who want to live close to the beach and who want to experience the utmost in luxury living. 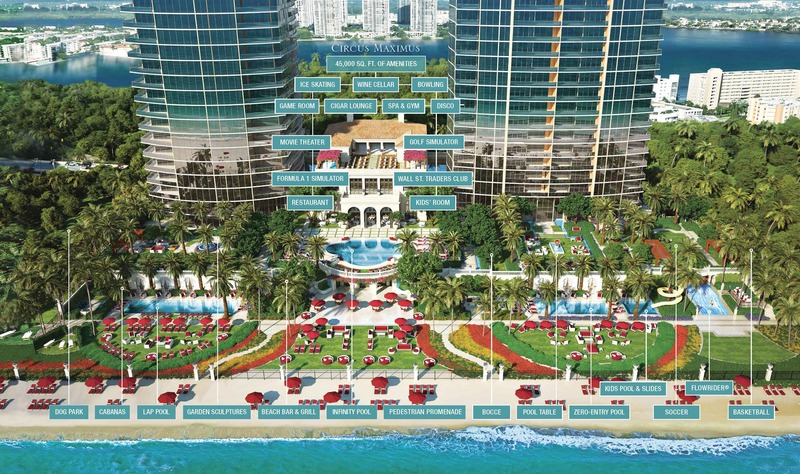 One of the latest construction projects, the Estates at Acqualina, is proof positive of this. The two tower complex will provide buyers with some of the best units in the South Florida region. Other units in neighboring buildings have sold very quickly, and the same will be true of this property. The two towers will be 51 stories high, and the size of the units will vary between 4,465 square feet and around 5,000 square feet, except for the single family homes and penthouses, which are much larger. One of the things that will make this building special is that each of the floors will have a maximum of two units. There will only be 90 units in each of the towers. Those who want to have spacious units that are private will enjoy the opportunity that these units will offer. The building will feature 5.6 acres of oceanfront property, along with a host of amenities and features that will help to make it a true standout among the area’s luxury properties. It will feature a state-of-the-art fitness center, a fantastic restaurant, and Circus Maximus for the kids. It will also feature a private movie theater, and even an ice skating rink and bowling lanes. In all, it will have more than 45,000 square feet of space for amenities. If everything that the building has to offer has impressed you thus far, just wait until the building is complete. Those who are interested in keeping up with the progress of the building and buying when the units are ready should get in touch with Lana Bell. She has experience and knowledge of luxury real estate in the Sunny Isles area and can help you find just what you need.